Starting today (2/19), TuneCore.com, which distributes music to iTunes, eMusic, Rhapsody and many other major download and streaming sites, will help musicians get heard in even more places by distributing artists’ pre-cut ringtones to the iTunes iPhone ringtone store. 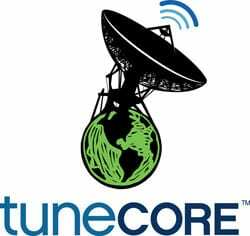 Any existing or new TuneCore artist will now have the opportunity to hear their music ringing from iPhones all over the world. As always, TuneCore will take no revenue from the sale of the music. TuneCore customers can edit their own music into .wav clips of 5-30 seconds for TuneCore distribution to the iTunes iPhone ringtone store, available from the home screen of any iPhone running iTunes 9 or later. An artist will only need to upload a ringtone once for TuneCore to distribute it to iPhone iTunes ringtone stores in the US, Canada, Japan, EU, Australia, New Zealand, Mexico and the UK. TuneCore will also be adding additional ringtone stores, which can use the same ringtone upload. To help create ringtones, TuneCore customers will be able to access a free download of PreSonus Studio One – a leading home recording software application – for 30-day trial, with easy step-by-step instructions for creating and exporting ringtones.